Detailed programme and information about TBA21’s first Current Convening in Kingston, Jamaica and profile of Ute Meta Bauer. The week of March 13, 2016 is a momentous one for visual art and oceanographic research in Kingston, Jamaica. March 16-17 will see the unfolding of the first convening of TBA21’s The Current, an ambitious cross-disciplinary venture marrying art and science in the service of ocean conservation. The ocean and its coastal communities provides a singular arena in which sociopolitical, economic, and environmental factors converge with the spirit of exploration. The Current seeks to redefine the culture of exploration, exchange of ideas and discovery in the 21st century. Organized in three-year cycles, The Current is a multiphase fellowship program that gives artists, curators, scientists, marine biologists, anthropologists, and other cultural producers a platform to cultivate interdisciplinary thought and transfer of knowledge. Embracing the notion of the journey as a goal in itself, participants in The Current will join an annual expedition on the research vessel Dardanella. Avoiding the structures of conventional conferences, think tanks, and residencies, The Current reimagines knowledge production and the methods through which we present, understand, and exchange ideas. The inaugural Convening of the TBA21 The Current introduces and discusses what has been discovered on an expedition to the Pacific archipelagos with the research vessel Dardanella. Titled The Kula Ring, a Gifting Economy, the Convening in Kingston follows a ten-day journey to the remote littoral of Milne Bay Province in Papua New Guinea. The Convening engages various formats of translocal exchange in the spirit of the kula including visual and sonic presentations, newly developed performances, film screenings (of existing films as well as new footage), structured conversations with invited experts, educational workshops, and “Thematic Tables” between presentations that allow smaller groups of shared interests to convene in a more intimate discussion setting. The experience of forming a collective body and exchanging knowledge is key not only for the expedition itself but also for these gatherings. The Current’s organizers, expedition leader, and fellows will be joined by a diverse group of environmentalists, oceanographers, artists, scholars, and activists from Jamaica and abroad. The Convening at _space will connect what has been discovered and experienced in the Southern Pacific to issues that are shared with Jamaica and other Caribbean nations. The first day of the Convening will focus on fieldtrips, workshops, performative events, and presentations of materials, introducing creative practices as knowledge production in its own right. On the second day, formats will shift towards lectures, performances, screenings, roundtables and “Thematic Tables” that invite the audience to become active participants. Narrator Amina Blackwood Meeks, custodian of the oral tradition and performer, will introduce participants and speakers as a protagonist / persona in this Convening, and there will be interventions by the Brooklyn Jumbies. The evening will close with a live exchange of artistic and sonic material that will take place in the format of a concert/performance. This workshop seeks to experiment with the practical and visionary idea to research local fish species and make them fly – by way of the kite, bridging global and local traditions and technologies of kite building. It will be a collaborative process that offers a playful introduction to Engineering and Computer Science. In a following conversation, we will discuss how creative and playful learning can be a tool to share knowledge and inculcate environmental awareness. Cyrill Gutsch is presenting the Parley A.I.R Strategy – a formula that can end ocean plastic pollution. Plastic is a design failure. Once produced, it never dies but keeps poisoning our planet. We can only end its crusade by inventing new materials. In the meantime we save marine wildlife by cleaning up coastal regions, dragging plastic debris out of the sea and cutting into the production of new, virgin plastic by making recycling material a mega trend and working on closed-loop systems. This presentation introduces three ongoing projects by Studio Orta – Clouds, Orta Water and Antartica – that intersect issues of water paucity and pollution, climate change and its effects on migration. The artwork Interfaces marks a transitory moment in Oskar Metsavaht’s life. Conceived during an artistic residency at Inhotim, it allowed him for the very first time to combine his different perspectives – or interfaces – of being a physician, designer and artist, and to live up to their full potential. Interfaces I – man//art//nature thus carries this new awareness. In his talk, he proposes a reflection about this “imaginary layer” aiming at defying the boundaries between the human body and nature. This conversation will introduce creative engagement addressing urgent questions that touch on the changing condition of our environment. A presentation of 60 photographs that are part of a collective visual database accumulated by the TBA21 The Current Expedition Leader and Fellows during their ten-day expedition to Milne Bay Province in Papua New Guinea from September 30 – October 9, 2015. Through an examination of the tradition of the kula and its modes of exchange and circulation, Harry’s installation of selected materials that he collected during his visits to Pacific Islands questions the way materials and objects accrue economic and social value and significance in the Pacific, and against the wider sphere of global trade. The presented books are part of a collection of materials and ongoing research that Jegan Vincent de Paul has undertaken to examine (un)official perspectives on Chinese State-led infrastructure construction across the Indian Ocean littoral, attempting to reveal the political fallouts of the routes and its general social, cultural and economic effects in a society. What-Lives-Beneath is an original cross-disciplinary performance, combining dance, spoken word, stilt dancing, costuming and music. Based on first-hand experiences, research and ancient wisdom, it charts the physical and emotional relationship maintained with the ocean and the urgent need for collective transformation. The Moving Mas works created by Laura Anderson Barbata in collaboration with Chris Walker incorporate traditional handcrafts from Papua New Guinea collected during the expedition and other recycled materials. TBA21 The Current Fellow Tue Greenfort, artist, Denmark; Cyrill Gutsch, Founder of Parley for the Oceans, USA; Francesca von Habsburg, TBA21, Chairperson and founder, Jamaica/Austria; Justine Henzell, producer and director, daughter of Perry Henzell, Jamaica; Oskar Mestavhat, physician, artist, environmentalist, Brazil; Lucy Orta, Professor and UAL Chair of Art in the Environment, University of the Arts London and artist, France/UK; Moderated by Markus Reymann, Director, TBA21 The Current, Germany/USA; This conversation discusses artistic and creative practices in support of environmental awareness. Narrator Amina Blackwood Meeks, custodian of the oral tradition and performer, will guide throughout the day. The Current is the exploratory soul of TBA21. Imagined and implemented by Francesca von Habsburg and Markus Reymann, it is a ground-breaking new program that takes artists and other cultural producers, architects, scientists, philosophers, and environmentalists into the South Pacific. Based on the research vessel Dardanella, The Current is the offspring of TBA21 Academy. In his talk, Markus Reymann addresses the results of the first two expeditions and proposes an outlook on how the art world and the cultural sector in alliance with science can creatively engage with today’s most pressing issues of climate change to conceive imaginative solutions. Excerpts from the Anthropocene Observatory Project, a collaboration by Armin Linke with John Palmesino and Ann-Sofi Rönnskog (Territorial Agency) and Anselm Franke (Haus der Kulturen der Welt, Berlin). The Anthropocene Observatory depicts the work of international agencies, organizations and scientific researchers in a series of short films, interviews and documentary materials. discusses the thesis of the Anthropocene as the epoch defined by the actions of humans. The animated visuals that were collected through various satellites underscores the global connectedness of the coupled climate system at large, and the far-reaching effect that regional changes can have. In the same way that polar ice sheet melt influences tropical communities living near the coast, changes to the tropical atmosphere-ocean circulation will impact polar climate. As we convene to witness changes to the local environment, we will do so against the backdrop of global changes. Investigating the intersection of contemporary eco-politics, art and architecture at multiple scales and in the making of new legal and political forums, this presentation explores an ongoing geopolitical investigation of ecocide and environmental self-determination in West Papua, a militarized territory on the northeaster eastern edge on the Ring of Fire. The audience is invited to join the presenters in smaller, intimate groups for discussions. Topics include “Our ocean’s now – Our ocean’s future?”, “Agents of change – responsible philanthropy”, “Vernacular knowledge and material archives”, “Collective body and transcultural exchange”, “What is this – the epoch of the Anthropocene?” and “Undoing education / learning by doing”. This conversation will discuss if a collective experience of a very particular locale is translatable to another locale, and how can one create a field of resonance that serves as a feedback loop? What kind of knowledge is produced under such particular circumstances like an expedition and how can this knowledge be made productive and be exchanged within a wider group? What is required to establish a community of shared interests across cultures and local specificities? Jamaican dancehall culture celebrates the dance as a mode of theatrical self-disclosure in which the body speaks eloquently of its capacity to endure and transcend material deprivation. Furthermore, the politics of the dancehall is decidedly gendered: it is the body of the woman that is invested with absolute authority as men pay homage to the female principle. And here is my profile of Ute Meta Bauer, whom I have known since 2000 and last met in person in 2002 at Documenta11’s platform in St Lucia. Over the years we have kept in touch; it is a great pleasure to collaborate with her 14 years later on this convening. Please come out in your numbers, you won’t be disappointed. UTE META BAUER is not a household name and likely never will be. Although the stage is a passion for her you will never see her on a red carpet in the glare of a zillion flashlights or hotfooting it from an army of fans; no paparazzi will ever hunt her through the tunnels of Paris or anywhere else. Why should we be interested in her then you ask? Simple. Alongside the celebrity culture and money-driven economies we occupy in this neoliberal epoch, there are social economies at work, trying to imagine and realize more creative and equitable systems of co-existence. Can art have social functions beyond being storehouses of monetized value tailor-made for buying and selling? What role can/should artists play in the design of more humane, less number-driven societies? How can we institute the ability to explore, to experiment and to improvise, to work and think in unconventional ways? How can we engineer an automatically innovative, self-reinventing social system? Such questions have animated the work of Ute Meta Bauer over the arc of her career inciting her to operate at the frontiers of research into new thinking about art, art education and performance. Thus subjects like cultural, social and media theory, gender, cultural and critical postcolonial studies, curatorial studies and methods of presentation, cultural policy, the study of transcultural and, popular-cultural issues have all been grist for Ute’s mill. Her unconventional but productive approach to knowledge and knowledge-building has attracted the attention of institutions at the forefront of education in art and technology and her curatorial practice has encompassed a wide range from contemporary art, film, video to sound installations. After trying to shake things up at the Academy of Fine Arts in Vienna, Austria, as a Professor of Theory and Practice of Contemporary Art (1996-2006) Ute went to the Massachusetts Institute of Technology (MIT) where she was director of the Visual Arts Program for several years and Founding Director of the Program in Art, Culture and Technology (ACT). In both places Bauer tried to revolutionize the curricula, arguing for more interdisciplinarity, transdisciplinary research, and occasionally even an anti-disciplinary programme of studies. “Why not regard students as competent partners capable of cooperating and being actively involved in the design of their learning environment?” she asks. In her own student days in Hamburg, Germany, Ute, along with other students, had formed a group devoted to extracting and moulding the kind of educational structures they wanted and needed from the programmes of study they were offered. Inevitably Ute’s determination to change the politics of art and the structures within which it operates, has brought her into the ambit of art professionals such as the highly acclaimed Okwui Enwezor, another curator with similar ambitions. In 2002 she became part of Enwezor’s Documenta11 curatorial team, widely acknowledged to be the most paradigm-shifting of any Documenta in the weighty exhibition’s 60 year old history. Curating the 3rd Berlin Biennale for contemporary art in 2004 and several other ground-breaking exhibitions, since 2013 Bauer has been the Founding Director of the NTU Centre for Contemporary Art Singapore, a national research centre of the Nanyang Technological University (NTU). Her mandate is to merge various streams of programmes into a cross-disciplinary platform. Just a little after two years into the operation they are well on their way. 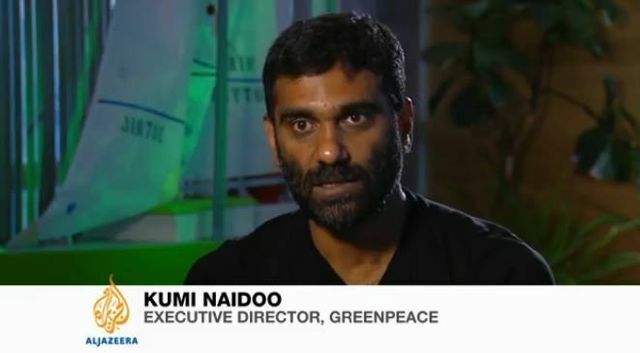 Part 2 of my interview with Executive Director of Greenpeace International Kumi Naidoo. On December 5, the day Nelson Mandela finally died, after a heavily mediated, prolonged deathwatch, I was in Amsterdam with Kumi Naidoo, a close South African friend of many years standing. In between hundreds of requests for his comments from global media I managed to sneak in an interview myself. I had originally planned to interview Kumi about his role as Executive Director of Greenpeace International, about the predicament of the Arctic 30 who were still in captivity in Russia then and other environmental issues but the occasion demanded that we discuss the passing of Mandela and all that it symbolized and meant. This became Part 1 of the interview published on this blog two weeks ago, Nelson Mandela, Servant Leadership and ‘Born-heres’ : An Interview with Kumi Naidoo, Part 1. Here now is Part 2 in which the environment and activism in general are foregrounded. Make sure to watch the video embedded below for a rich elucidation of some of the points raised in passing in this interview. AP: Let’s now talk about the fact that you are Executive Director of Greenpeace International which is interesting in itself because you would be the first… I don’t want to say, non-white person to be in that kind of position, but person from the South, let’s say, representing completely new populations globally. Has this been a challenge? The fact that Greenpeace was previously a very kind of white European, or European-origin dominated organization, or is that a wrong perception? KN: No, historically, that’s the reality. It started in Canada and moved to the US and Europe and Australia and so on, but Greenpeace actually has been operating in the global south for a long time with strong leaders emerging from those parts of the world who are into global leadership roles as well, but still that is not the majority of the experience. It’s still an area we are committed to making more progress in. And one of the things that I’ve been working on is strengthening our presence in the poorer parts of the world, parts of the world where if we don’t get it right, such as India, China, Brazil, Nigeria, South Africa and so on, with big population sizes, then you know we can get every country in Europe to go to clean green energy, but that’s not going to cut it, because the population sizes in the developing world are mushrooming… Just from a very basic doing the math, it makes sense to invest more there and to strengthen our ability to encourage those countries not to follow the same dirty energy path that today’s rich countries built their economies on. This is not easy to do, because, justifiably, developing countries who have significant access to the remaining fossil fuels are saying, well, why should we not burn it and build our economies in the same way that the others did. But we are saying, the problem is that then you build your economies, and the economies and the infrastructure are going to collapse, because by just continuing to burn fossil fuels, the impacts of climate change are going to become more and more real. And its not a question of us saying that, oh, some time in the future we are going to see climate impacts, we are seeing climate impacts in many parts of the world. Today, in many parts of Africa, and in many small island states, for example, people don’t need climate scientists to come and tell them that climate change is happening and its real. People’s daily lived experiences; rains coming at the times that they didn’t; records that are being broken in terms of hottest temperatures and coldest temperatures. We are seeing storm strength and ferocity, height and velocity increasing to extents that we barely have another recorded moment for. Changes are happening. We can see in the Arctic where the minimum sea ice level last year broke its lowest level. KN: Where there was the lowest level of sea ice. Sea ice serves as the refrigerator or air conditioner of the planet, it plays a key role in climate regulation, and so in that sense, the stakes are very high. At Greenpeace, the reality on the ground has helped to show why we need to win in places like the Philippines and so on, and so resources are shifting but its slower than I would’ve hoped, and the changes could be even bigger than I would’ve hoped. But change is the art of the possible. We don’t have the luxury of saying, okay folks, we’re going to engage in an internal change process now, so let’s think about how to make the most fundamental transformative changes to be as effective as we can, and bring all energies to bear on that. We are just running out of time, on climate especially, we have to be able to act internally and make the internal changes that we need to make, and the cultural changes that we need to make to be as fit for purpose as we can, and to be as global as the challenge that we are seeking to address. On the other hand we’ve got to continue to fight on the outside at the same time and continue to win as many big and substantial victories to try to reverse the trajectory we’re on. If we continue the way we are, we’re talking about a four degree world, meaning a four degree rise from pre-industrial levels, and right now, its been agreed that we should keep it below two degrees. KN: Global temperatures. Average global temperatures. And at this rate, this year we passed the 400 parts per million concentration of carbon in the atmosphere, and the safe level of carbon concentration is 350 parts per million of carbon in the atmosphere. Already, we’ve hit 400. We’re in a very precarious state. Our political and business leaders are suffering from cognitive dissonance, where all the facts are there but they’re not prepared to act on it. AP: You were describing how urgent all these issues are, the environmental issues, and I’m wondering why this isn’t obvious to more people than it seems. For instance, in countries like Jamaica, the environment is almost considered a luxury, and people who protest on its behalf are resented, and often portrayed as being anti-development, Luddites etc, etc. Interestingly its often true that they ARE well off, better off than others in the societies they share. KN: To take my part here, I was involved in the anti-poverty movement for the better part of my life. I was the founding chair of the Global Call to Action Against Poverty, and I’m still involved in it. What I was seeing, looking at it from a short, medium, and a long-term perspective is that the poor were paying the biggest price for environmental destruction. And when you see an environmental crisis, such as hurricane Katrina in a rich country like the United States, what you see is that those folks who are better off are at least able to jump into their four-by-fours and other vehicles and drive away to safety, when the majority of the poor are left stranded, and the numbers of people that died were devastating to see in New Orleans. But then you take that and you can multiply that story hundreds of times over when we look at different environmental impacts. When I look at the issue of water, for more than ten years now, some of us have been saying that the future wars will not be fought over oil but will be fought about over water, and already you can see that happening. Water is the centre of many conflicts, including, by the way, the Palestinian-Israeli conflict. So the point I’m making is that if you look at it objectively, the traditional Western environmental movement, which includes Greenpeace, didn’t make the connection early enough between sustainability and equity, and sustainability and poverty. But to Greenpeace’s credit, by the time I arrived there in 2009, they had embraced the idea of sustainable equity or equitable sustainability, which was essentially bringing the agendas of how do we share the resources on this planet in a more equitable way, that everybody should have certain basic things like access to water, sanitation, basic education, health care, and a certain level of energy. There are 1.6 billion people on this planet who live with complete energy poverty today; they don’t have access to a single light bulb. That’s not a small amount of people. AP: 1.1 Billion, you said? KN: 1.6 Billion. That’s a substantial amount of people on this planet. So, for me, the struggle to avert catastrophic climate change, which will wipe out all the developments whether in rich or poor countries, is the critical success factor for consolidating any development initiatives that we do, and so, if you look at Bangladesh, some investments that were done, good development work on the coastal parts of Bangladesh, are already being turned back because of sea level rise and salt water contaminating the soil and making it hard for people to grow food that they were able to grow before. So essentially, the poor, and poor countries–even though poor countries in the main have not been responsible for that huge amount of carbon emissions–if you look at the history of burning oil, coal and gas, and when it started, the irony is that people in poor countries are paying the first and most brutal impacts of climate change. And its only going to get worse. So in that sense, for me, fighting climate change is fundamentally about fighting poverty, and I don’t see a disconnect there. AP: But you know what I find interesting, when you thing about environmental groups, action groups globally, Greenpeace comes to mind immediately, but one is hard pressed to think of any others. Why do you think that is? I mean, there are other environmental NGOs, aren’t there, who are doing important work? KN: Well, I suppose its because Greenpeace does take part in, does have as part of our work, peaceful civil disobedience, and that does get us into trouble with the authorities from time to time and gives us more media visibility. AP: As you are getting now, with the Arctic 30. What does Russia’s reaction of jailing the Arctic 30 imply for activism broadly speaking, for non violent protests, and the like? It’s set a bad precedent, hasn’t it? KN: I think that there’s two ways you can look at it. One is, just the fact that it happened people will be so shocked by it and will speak out about it, not just in Russia but across the world, and in fact the opposite result might be achieved, which is that people say we really need to make sure that governments do not use such disproportionate force when there are peaceful protests, or such disproportionate use of the formal prosecuting authority. Of course, the other reaction is that people will get intimidated and so they won’t undertake protests. Both will probably be true, as realities. To be fair to Russia, by the way, it is not the only country where there has been a shrinking of civic space, specifically, and democratic space more generally. AP: Which are the others? China? KN: Oh no, even in the United States, if you look at their response to September 11: the Patriot Act, legitimizing and defending torture, engaging in extraordinary rendition, racial and religious profiling, NSA, invasion of privacy; I mean all of these things have a chilling effect on citizen participation generally, and civic activism more specifically. In Canada, we have these lawsuits, which are called SLAPP suits, Strategic Litigation Against Public Participation (SLAPP) which are suits brought by companies to intimidate NGOs and campaign groups. A state like Quebec now actually has anti-SLAPP legislation to prevent companies from doing it–that’s how big a problem it is. For example, in Canada now, a company headquartered in Quebec brings a case in Toronto, because they couldn’t have brought it in Quebec because of the anti-SLAPP Legislation. And they are charging us with a seven million dollar defamation claim. AP: Who? Greenpeace. What is that in relation to? KN: To the fact that we made statements condemning the activities in the Boreal Forest. AP: So its not just Russia. KN: Yes and I don’t know where exactly that will end. As regards Greenpeace, while I’m not saying we will do exactly the same action at the same place in the same way again, neither am I saying that we won’t. But we will obviously learn from this. This has been a big development for us, we will learn from it, and we recognize, as Greenpeace, that we live in a world where people are being killed and tortured and arrested and brutalized for standing up for the environment and social justice everywhere in the world, and we hope that we would be able to help contribute to the push for saying that governments need civil society, society needs active participation and so on, and that hopefully governments will embrace the perspectives of their citizens and allow peaceful protests, including those that have an element of civil disobedience. AP: Great, thanks so much for this Kumi! KN: And if you want to connect the two parts of it… Our people in Russia, first were called pirates and now are called hooligans. Nelson Mandela, Mahatma Gandhi, Martin Luther King, Rosa Parks, and many other people who stood up for freedom and justice, were also, when they were doing so, called all sorts of labels, including labels worse than being called hooligans. Terrorists and so on. But today we revere them as the greatest peoples to have walked on our planet. I have no doubt that the Arctic 30 will be seen as people who did the right thing for the world, and acted out of compassion not out of self-interest. But I hope the world will come to that realization sooner rather than later, because we are running out of time. A climate plague affecting every living thing will likely start in 2020 in southern Indonesia, scientists warned Wednesday in the journal Nature. A few years later the plague will have spread throughout the world’s tropical regions. By mid-century no place on the planet will be unaffected, said the authors of the landmark study. “We don’t know what the impacts will be. If someone is about to fall off a three-storey building you can’t predict their exact injuries but you know there will be injuries,” said Camilo Mora, an ecologist at University of Hawai‘i in Honolulu and lead author. “Within my generation, whatever climate we were used to will be a thing of the past,” he said. In less than 10 years, a country like Jamaica will look much like it always has but it will not be the same country. Jamaicans and every living thing on the island and in its coastal waters will be experiencing a new, hotter climate – hotter on average than the previous 150 years. 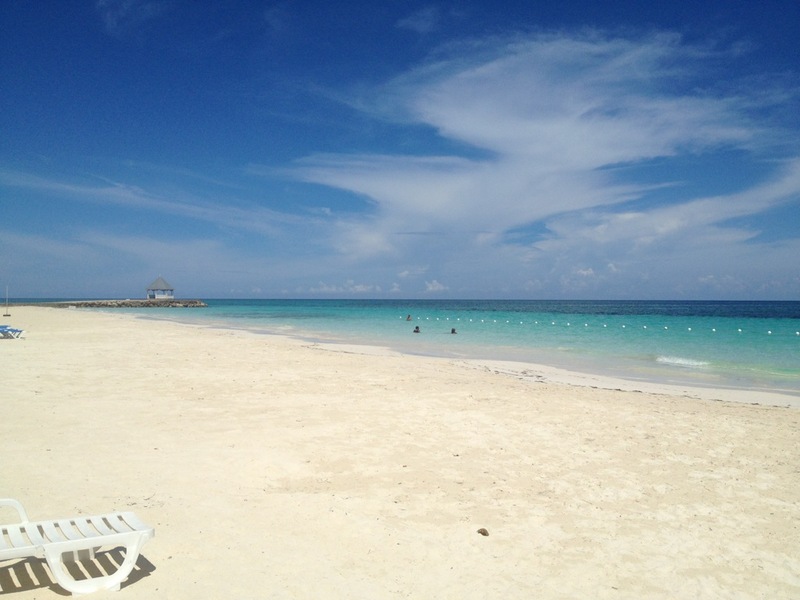 ‘Temperatures Rising: Jamaica To Face Extreme Heat in 10 Years’ – Perhaps this headline was not sensational enough, the text too scientific or there were just too many other news items but for some reason, this article in the Jamaica Gleaner a few days ago seems to have received little attention. We spotted brief discussion on twitter about whether or not this would be good for solar power and a single query about roof insulation but in general, minimal hysteria. The lack of public response seems strange as our immediate thoughts ranged from recollections of the drought of 2009 all the way to Armageddon type blockbuster film scenarios. Online searches returned a myriad of global articles on the matter but little in from the news desks of the tropical countries now considered to be on the climate front line. It’s an uncomfortable fact that for countries such as Jamaica, India and others in the ‘developing’ world environmental concerns have remained a preoccupation of the elite, those well off enough we think, to worry about changing weather patterns, global warming and the like, in the face of more urgent local problems such as unemployment, hunger and homelessness. Take the genocide in Darfur for instance, in Sudan, the media largely reported it as an ethnic quasi-religious sort of conflict and so on. But, that is your first major resource war brought about by climate impacts because Darfur neighbours Lake Chad. Lake Chad used to be one of the largest inland seas in the world. And the climate scientists warned us decades ago that, as a result of a warming planet, Lake Chad was under risk. Lake Chad has now shrunk to a size of a pond as the current secretary general of the United Nations, Ban Ki-moon put it recently. So water scarcity, land scarcity and food scarcity as a result of an absence of water and land was the toxic mix that created conditions for identity manipulation by opportunistic politicians that saw the horrific events in Darfur happen. In three days it will be a month since 30 Greenpeace activists were intercepted by Russian forces during an act of non-violent civil disobedience in which they mounted a peaceful protest against drilling in the Arctic, a region Naidoo refers to as the “refrigerator and air conditioner of the planet”. According to news reports some of the environmental group’s activists scaled the rig, operated by Russian state energy giant Gazprom. The Greenpeace crew were protesting Russia’s plans to drill for fossil fuels in the fragile ecology of the Arctic. The ship was towed to Russia’s Arctic port of Murmansk and the activists bused to the local headquarters of Russia’s Investigative Committee. Despite the fact that the activists posed no threat to property or to people, Russian authorities have imprisoned the 30 citizens from 18 different countries, pending trials which could see some of them receiving up to 15 years in prison. “I am now for about 12 days alone in a cell. I don’t have books, newspaper, TV or someone to talk to. At the daily walk I am also isolated. The 4×5 metre “walkyard” is surrounded by concrete walls and covered with iron bars. On top is a roof, which doesn’t allow the sunshine in. What worries me is that the world seems to be paying as little heed to the dangerous drama playing out in Russia and the Arctic as Jamaicans are to the news of their impending descent into a tropical inferno as soon as 2023. Will anyone pay money to visit this tourist haven then, as they do now, just barely keeping this fragile Caribbean economy afloat? Can those of us from poorer economies afford to avert our eyes from the environmental catastrophes looming on our doorsteps? Can we afford to withhold our activism leaving it to white people and isolated elites around the globe to save this planet from ourselves? What is most disturbing is the precedent this will set and the chilling effect on any kind of activism anywhere if the Greenpeace 30 receive jail sentences. Are we being told that we can’t hold peaceful protests anymore? Is civil disobedience, that cornerstone of democratic liberalism, no longer recognized or allowed? Is the concept of protest being criminalized? If there’s any danger of this we ought to organize a day of collective protest globally in tribute to the Arctic 30, because their actions symbolize the freedom to register dissent, to draw attention to public bads, to demand our right not to comply with rapacious processes in the name of ‘development’. Unlike the localized protests we’ve seen spreading all over the world from Egypt to Turkey to the USA to Libya, environmental protests such as the one mounted by Greenpeace against oil drilling in the Arctic call on us to respond as concerned citizens of the globe. This is not just about our neck of the woods, it’s about the world we live in and all the creatures in it. Are we going to sit by and allow rich corporations to loot it into oblivion? Shouldn’t we too be willing to risk our lives to safeguard the planet for our grandchildren?